Cheap Weekend Fun in Boston for September 13-14, 2014! MixFest 104.1: Saturday, September 13, 2014 at DCR Memorial Hatch Shell. Enjoy a free concert sponsored by Mix 104.1 with Phillip Phillips, O.A.R., Christina Perri, and Magic! RiverFest: Saturday, September 13, 2014 from 11am-8pm at Assembly Row. Enjoy a fun day of music, art, activities, fireworks and more. CollegeFest: Saturday, September 13, 2014 from 11am-6pm at Fenway Park Gate C. College students, enjoy live music, free swag and much more. South Street Diner Customer Appreciation Day: Sunday, September 14, 2014 from 2-6pm. Enjoy a fun day at South Street Diner with free hamburgers and hot dogs with fun and games too! Boston Local Food Festival: Sunday, September 14, 2014 from 11am to 5pm on the Greenway. Enjoy a free outdoor festival that features farmers, local restaurants, food trucks and much more. South Boston Street Festival: Saturday, September 13, 2014 from 11am-5pm. Enjoy live entertainment, local merchants, food and more in South Boston. Somerville Dog Festival: Sunday, September 14, 2014 at Trum Field in Somerville. Enjoy an array of dog sports demos and more. Free but donations are appreciated. Spirit of America: September 12-13, 2014 at TD Garden. One of the Army’s largest community outreach programs, Spirit of America, will have free performances but tickets are required beforehand through Ticketmaster. American Field Pop-Up Market: September 13-14, 2014 from 10am-6pm at 21-25 Drydock Ave. Check out of the best of U.S. Made clothing, accessories, goods, and more. If you are looking to go The Taste of WGBH Food & Wine Festival on Saturday, discount tickets are still available for $25-30 through Goldstar Boston (affiliate). Also, if you are cheering on the Patriots at a local restaurant or bar, check out these NFL food specials and deals in Boston! Go Pats! 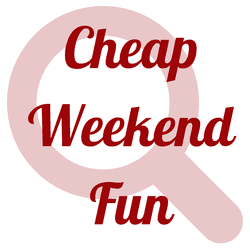 Did I miss any fun and cheap events this weekend in Boston?